Hi everyone. 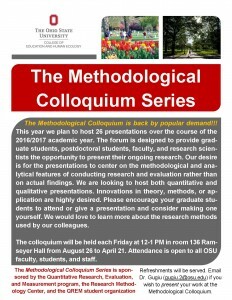 With fall fast approaching it is time to plan for this year’s Methodological Colloquium series. The last 2.5 years have been very successful. In total, there have been 50 presentations, which were attended by a total of over 200 distinct faculty, students, and staff. Let’s keep the ball rolling. This course will guide students through an exploration of theories as they relate to critical multiculturalism. 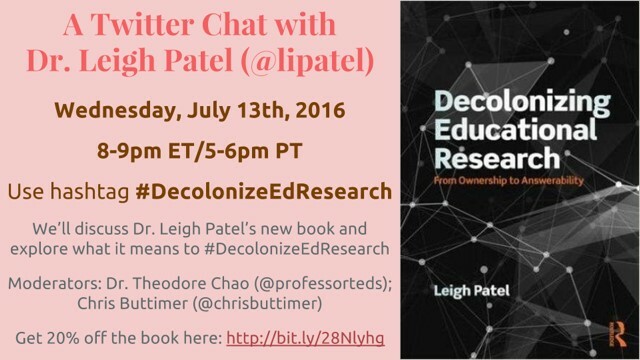 Some theories include, but are not limited to critical theory, critical race theory, and postcolonial theory. Together, we will discuss literature, contemporary art (performance and visual), visual culture and film that investigate issues around topics such as race, class, gender, sexual orientation and others. We will identify and conceptualize the intersections of these categories and their impact on economy, politics and justice. Students will explore the implications of the aforementioned theories and sociocultural intersections as they relate to the world of Art, including Arts education, Arts management and Arts policy. This course goes beyond art education and can be appreciated by students in varying fields. The Research Methodology Center (RMC) is seeking doctoral students who are interested in a GRA position with our Center. Appointments of 25% or 50% are available. The mission of the RMC is to advance the design and conduct of high-quality research in education and human ecology. To accomplish this mission, we conduct a wide variety of professional development (PD) events and provide consulting in research methodology for EHE faculty and graduate students. GRAs hired by the RMC will be expected to provide consulting services, to assist in the administration of PD programming, and to contribute to RMC research. Ideal candidates will possess advanced skills in research methodology, and will also bring some combination of experience/skills in social media marketing, database management, project management, desktop publishing, and/or data analytics. The RMC welcomes diversity in all areas – including diverse methodologies. 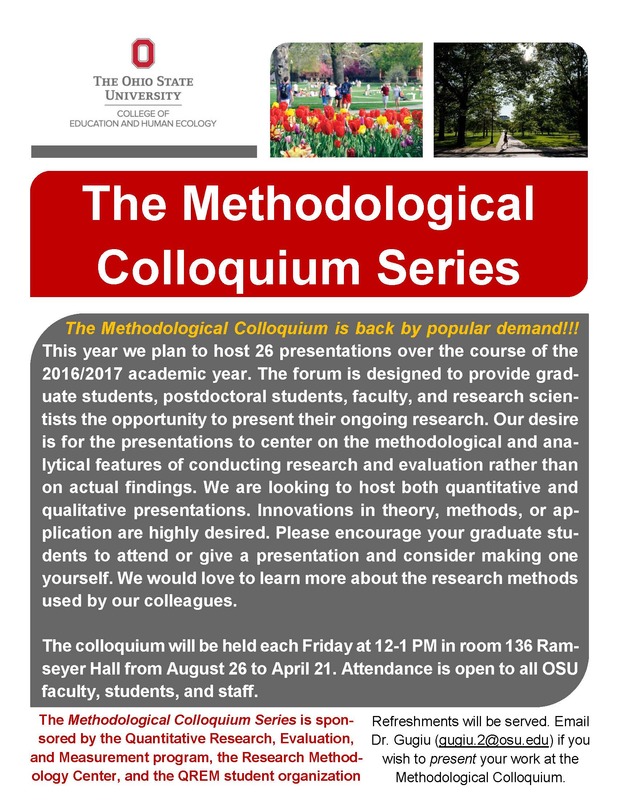 If you are passionate about methods and would like to pursue that passion with the RMC, please contact Sandy Reed at reed.665@osu.edu or 614-247-7787. 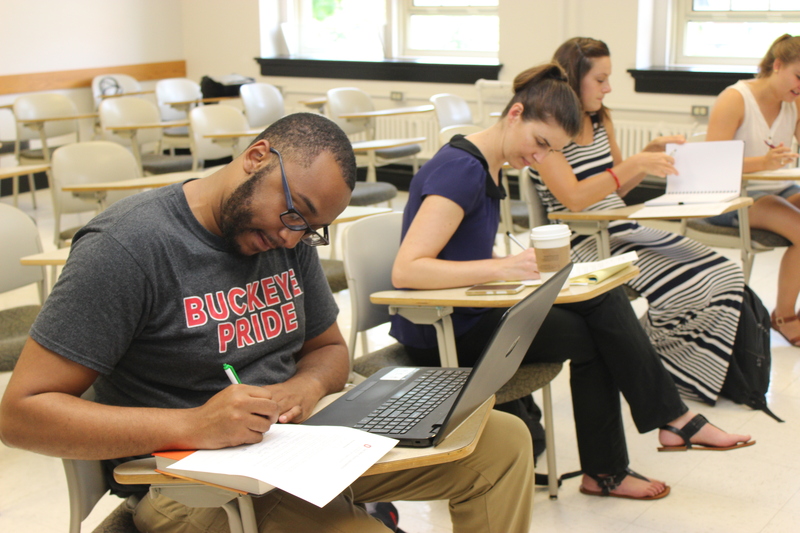 The EHE Office of Diversity, Inclusion, and Community Engagement sponsors students to participate in the annual Holmes Scholars Initiative, which is a program through the American Association of Colleges for Teachers Education (AACTE). The AACTE Holmes Scholars Program supports traditionally underrepresented doctoral students who are pursuing careers in education at AACTE member institutions. This program provides a number of resources and networking opportunities for participating doctoral students, including: professional development, mentorship, peer and faculty support, and other opportunities that prepare doctoral students to assume leadership and faculty positions upon receiving the doctorate degree. EHE Office of Diversity, Inclusion, and Community Engagement is accepting applicants for the 2016-2017 academic year. If you are interested in becoming a recipient, complete the Holmes Scholarship App_2016 and submit all required materials by September 1, 2016. Any applications submitted after the deadline will not be accepted. For questions, please contact Ryann Randall at EHE_ODI@osu.edu. 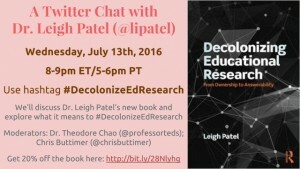 Take EDUTL 8306 in Autumn 2016! 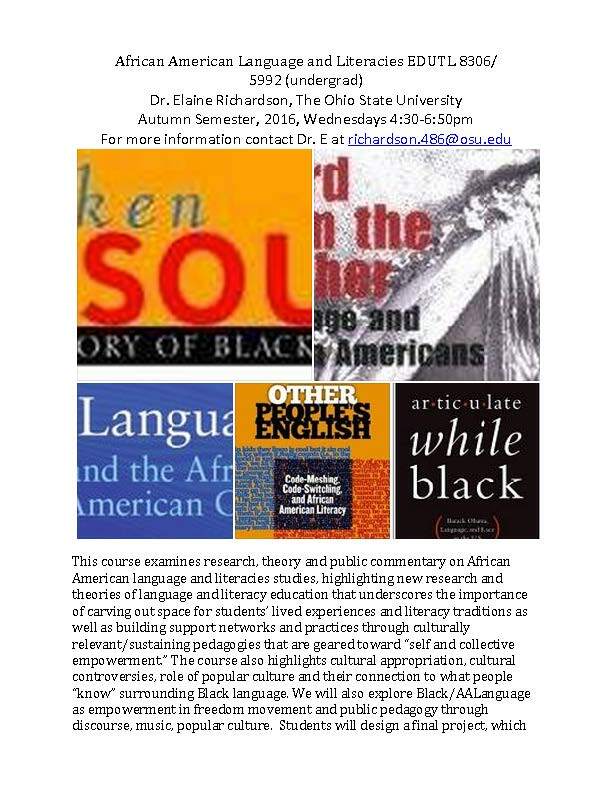 Contact Dr. Elaine Richardson.486@osu.edu for more information. Looking for an elective? 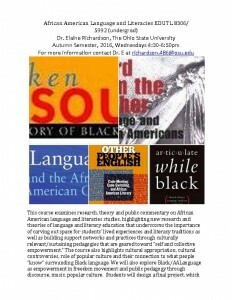 Contact Dr. Eliot.4@osu.edu for more information.